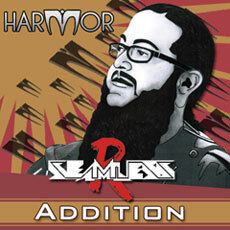 FL Studio expert producer SeamlessR brings you Addition, 65 exclusive presets for Harmor. Known for his extensive YouTube presence, including the famous How To Bass series of tutorial videos, SeamlessR knows how to get the best out of Harmor. Get his signature bass sounds as well as leads, pads and sound effects to use royalty free in your own projects. Automate Harmor Modulation X and Y to mutate each preset into new territories. Content needs the Latest Harmor VST installer or FL Studio 12.5 and higher active. Learn more about SeamlessR on these links.